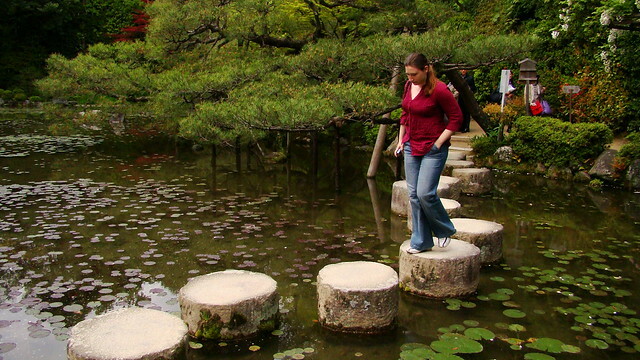 is for michi, or the Japanese word for Path. 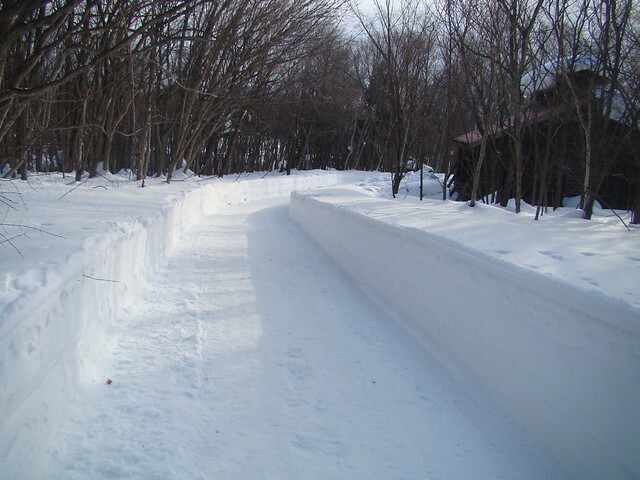 The trail marks the path, literally and figuratively, and Japan has no shortage of roads for you to travel. Whether you’re planning to embark on the 88-Temple Pilgrimage, or simply taking a short Sunday stroll, there is always a new one awaiting you. Paths line gardens, temples, shrines, the alleys of small town shops. Some roads are so small as to be more suitable for walking, than driving. There are paths (real and perceived) through the mountains, and forests. 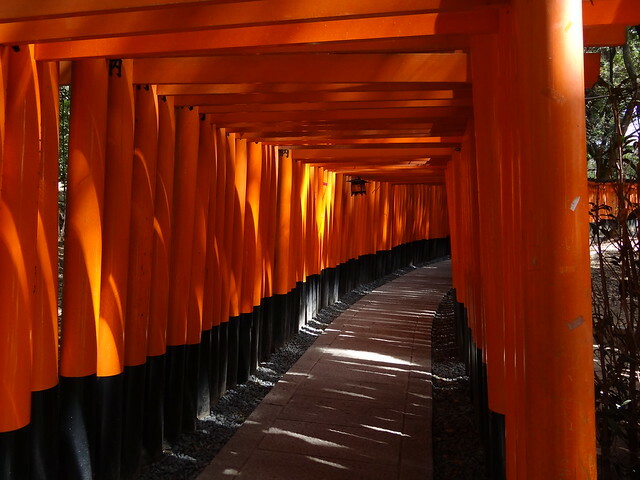 I have noticed that the “paths” in Japan have been particularly artful. Their creation is measured and considered, not like the wild, or straight and narrow perpendiculars I am used to in the states. The paths are purposeful, yet feel natural. I regret that I could not walk them all before leaving. I’m enjoying your blog and all the wonderful pics. 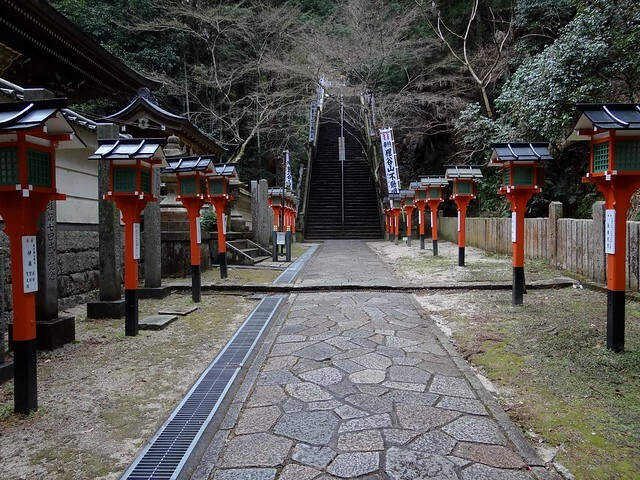 I walked the 88 Temples a couple of years ago – definitely some unforgettable paths!! You certainly seem to have gained a lot from your time in Japan. Another excellent selection of images, and thank you so much for sharing them. Gorgeous photos. They make me want to wander along each of them, so I guess they are doing their job! Thanks for sharing! Those paths are beautiful. 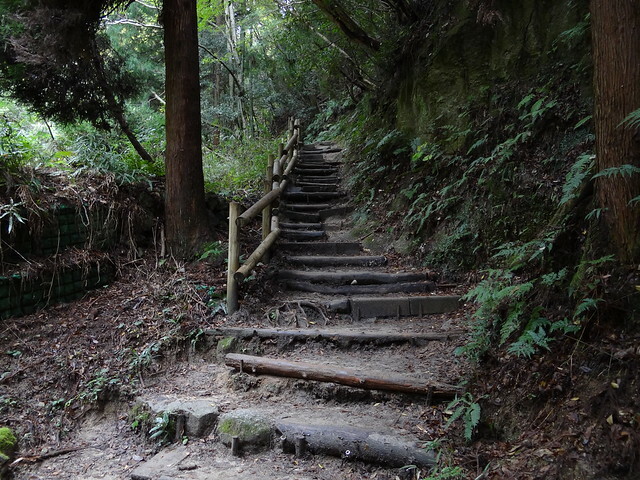 I do hope that I will be able to walk upon some Japanese paths in the future. I am planning on redoing the walkway along the south side of my home from the drive to the back. These pictures give me more ideas than I found online last night on Pinterest. Beautiful. thanks. The fifth image from the bottom reminds me of paths we used to walk in Somerset when I was a teenager. Almost haphazard stones and logs to make steps that were as likely to trip you as to help up the slope 🙂 Love pictures – wow , that’s some significant snow. Those are great photos and lovely paths. What a great motivation to exercise. they make you want to follow them, don’t they? Lovely and lovingly tended for their beauty! 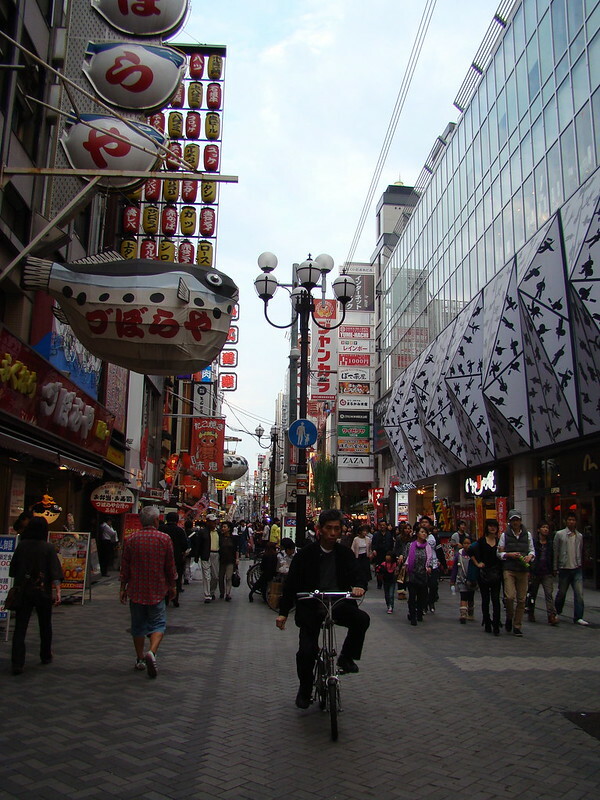 Great post, and I’m having so much fun revisiting Japan! I’m in the process of redesigning all my paths. I need one in front of my house, from drive to door. And I want to add another in the rock garden. You just gave me some great ideas. Thanks! Glad to help! Japan has got some amazing aesthetics. Awww, thank you. I had a lot of fun with this one, especially since I didn’t realize how many photos of paths I’d taken until I went looking for them! What a superb job of choosing a diverse collection of paths! Thank you for sharing their beauty with us. I’m really jealous now. 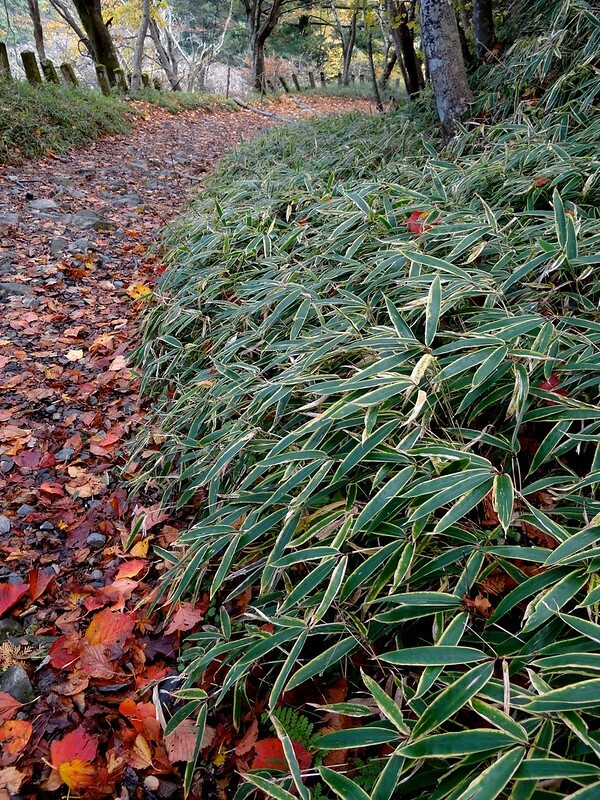 I love to walk through natural paths rather than straight lines of pavement. That image you used for your header is amazing – it’s like being in some kind of ethereal world! The tree roots is my favorite. And nice to meet another Alex! Wow! Hi, Alex! 🙂 I usually see you on Andrew Leon’s blog… pleasure to have you here! Your photos are BEAUTIFUL and I want to walk each of them! Beautiful pics as always. 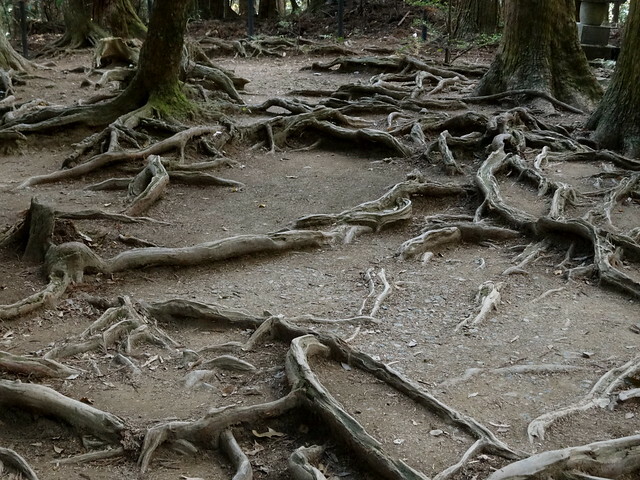 That path with the roots. I would HAVE to follow it to its end, no matter how far or long it was. What a beautiful thing. I read that somewhere (in a garden book, I think) about paths being artful, measured and considered. I’d like to say I think of them like that… but sometimes it just has to get you form A to B. Maybe I’ll give it more thought. Your pictures are always so eye pleasing. Thanks for sharing, you seriously do awesome photography. It makes me want to get on a plan to Japan, and walk around for hours. Wow, if paths are so beautiful, I would never stop walking! Thank you for taking us on such a beautiful virtual tour. I feel like I am learning something here! Great posts. Love all the Japanese words and pictures. Oh, Alex. Visually, this has to be one of my all-time favorite posts of yours. 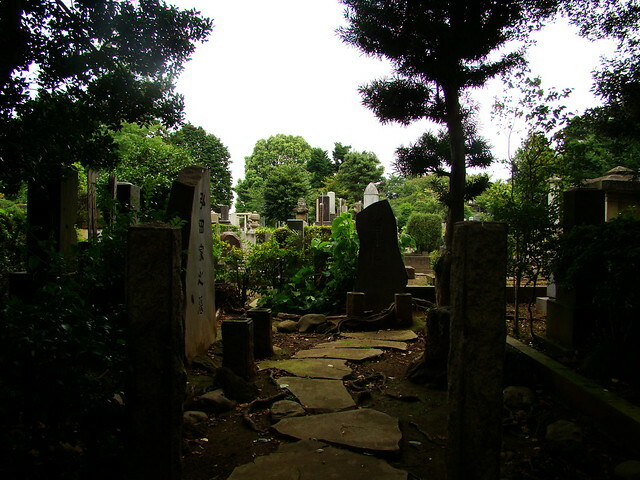 I am so drawn to paths, and the Japanese are truly first-rate in this department. 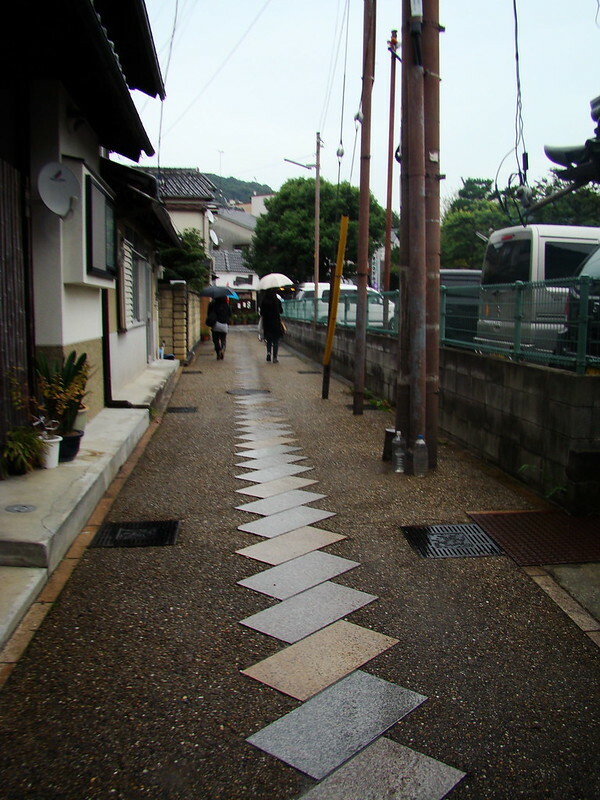 Boy, do they have exquisite style and taste and art in their crafting of walkways. I’m now putting the 88 paths on my bucket list. I’ve got to find a way to cross a few of those off. I must see those bamboos! I like the one where you hop across the little pond. That one looks like a lot of fun. All the paths in your photos are breathtakingly beautiful. Living in a ‘snow country’, I’m familiar with the path in the snow. Wow, what a terrific variety of inviting paths! The bamboo lined path is my favorite. Those are amazing pictures. I love the one with the tree at the end that almost looks like the path extends into the sky. Those are gorgeous! We need more of those here. I agree with Jazzfeathers. This is probably your most gorgeous collection of photos so far during A to Z. 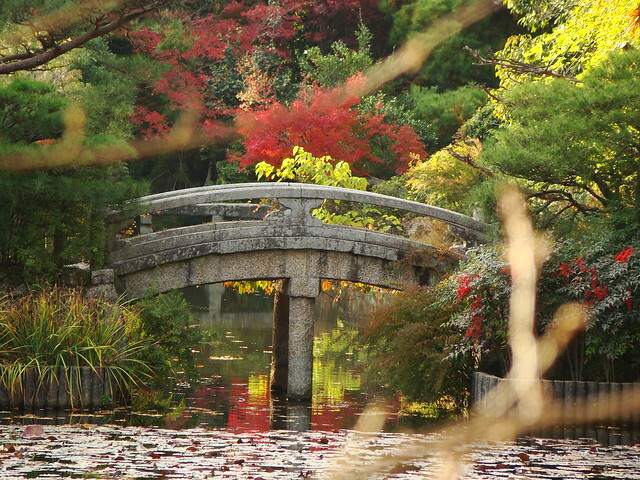 Especially the stone bridge, autumn (second from bottom), and bamboo path photos. Okay, this could be an entire book, like a coffee-table book: your gorgeous photos of paths with short stories accompanying each one. It would be such a peaceful book to come home to after a busy day. I love these images; each path makes me so curious, and I want to keep walking beyond where the photo ends.